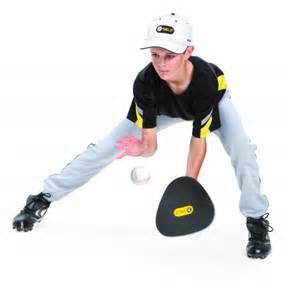 As a coach concerned with Baseball training Aids, your first instinct is the desire to offer your players the latest and greatest new training aids, which will help them succeed, but one needs to use a little caution and common sense when buying these items. Don’t think just because you bought it at a reputable sporting goods store that the devise does what it claims. Baseball Training Aids have been around since I was a young player, only in much smaller numbers, probably because our parents couldn‘t afford them. However, not unlike the Old West Snake Oil Hawker (Salesman,) who from one bottle of elixir could cure All your ills, one must first analyze the latest training aid before buying it. 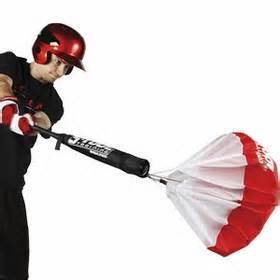 I’m going to review a few baseball training aids and offer my take on them. I don’t claim to be an expert, just an old ball player, and I receive No benefit or money from these products. 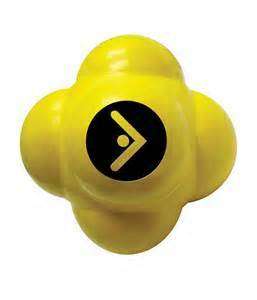 This spiffy little devise turns any door, which it can be attached to, into a miniature gym for strengthening the throwing arm and shoulder. It appears to be a good product for therapy, strengthening a rotor cuff or bicep injury, but I question the total effectiveness of it’s proclaimed purpose. I’m not saying don’t look into buying it, I’m saying in my opinion it should be used under adult supervision in younger aged players. Younger players may not have the correct basic pitching mechanics mastered, and with the use of this resistance type training could create more harm than good. Poor mechanics could result in injury or bad muscle memory, but it’s worth a look. 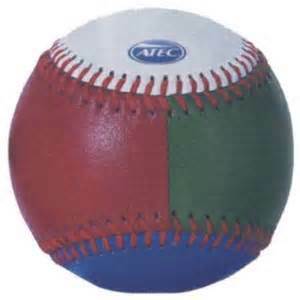 This Softball Sized multi colored ball is designed to be an eye to ball visual aid, which will teach the hitter to intensify his focus on the ball. The ball is not intended to be hit, but rather to teach the ability to recognize the spin and orientation of the ball. There are products which resemble this which are baseball sized and offer different colored seams or dots which are designed to address the same issue. The ball is intended to be used in a drill which will have the batter watch the ball all the way into the catcher’s mitt, and as it crosses the plate yell out the color he sees as he looks down on the ball. 1. Most of the time you will see two colors, but one will be dominate, so the drill can be properly performed. 2. There’s actually no way to verify if the batter chose the correct color, but the intent is to focus on the ball, not be tested on correct color calls. Could be worth the price. A word of caution, as this is a relatively newer concept which is Very coach involved intensive, because should the player not be closely monitored it is extremely easy to ruin a pitching arm. 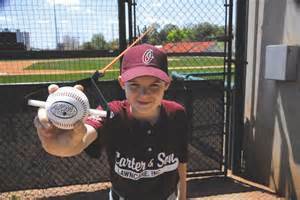 The intended purpose of throwing weighted baseballs is exactly the same reason batters swing weighted bats, to make the real baseball feel lighter to throw, and because the player is actually throwing the ball in a very strict pitch count regiment, he will also strengthen the arm and shoulder. Worth sells a 3 ball set, as well as many other suppliers, with weights of 7 - 9 and 11 ounces. I’ll advise you right now, if you’d purchase this set, throw the 11 ounce ball in the garbage or give it to the dog to play with, the moment you open the package, as you might as well give your pitcher a shot putt to throw. I even question the wisdom of throwing a 9 ounce ball, but that’s debatable. More college teams are moving towards the use of their pitchers using weighted balls as part of their training, and are achieving encouraging results. However, there are Strict Rules to abide by if you want to start using this devise, and they Must Be Adhered To or the possibility of injuring the arm increase a hundred fold. The rules are quite simple. (1.) The Number of throws per training session is limited. (2.) Never throw a ball over 9 ounces, and I question that heavy. (3.) This training routine can only be used in the off season, once spring training begins STOP all usage of the weighted balls. (4.) Do not use a pitching mound when throwing weighted balls. 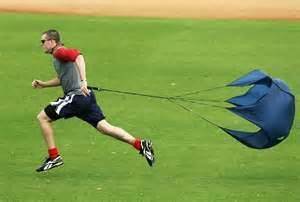 These devises utilizes the age old theory of resistance training, which has been proven to be quite effective, but do we really need to spend the money on such devises when increased reps and running sprints will produce the same, if not better, results. However, if the devises hit your fancy, the theory they are built on is sound, but it worries me that the user of the devise could end up in a quandary making the devise work without getting tangled, which would restrict the number of swings in between stopping and untangling the devise, which defeats the purpose. Any devise or drill which requires the player to improve their fielding abilities without the aid of a glove, is beneficial. The concept is quite simple, if you can learn to catch the ball on a consistent basis with only your hands, the use of a glove will only greatly enhance that ability. I’d strongly recommend this aid to any parent or player intent on playing the infield as there is no better method for learning to catch a ball than bare handed, or in this case nearly bare handed. This devise is designed to eliminate, what we used to call raspberries, on our hips and thighs, resulting from constantly hitting and sliding along the ground. This is a good devise to teach younger players the basics of how to slide safely and for older players to revisit their sliding mechanics before the season begins. I do caution using this devise as the sole training aid for sliding as it can not replicate game conditions. 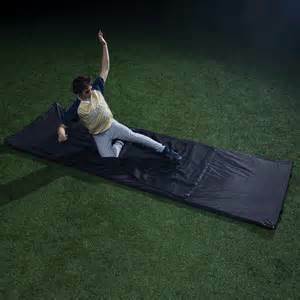 You don't hit the dirt and slide 15' but used in conjunction with real time sliding drills, the equipment is very good. This softball sized six sided ball is designed to create Quick reflex reaction to bad and crazy hops, as the design of the ball prevents it from taking a smooth or straight path along the ground, which is what makes this aid quite effective. To tell you truth if you’re throwing the ball correctly, especially on a gym floor or an asphalt parking lot, your players will most likely never cleanly field the ball, but that’s fine, as the intent of using the devise is to create quick hands which react on instinct, not thought process. It's usage is quite simple, as your players will be instructed to field the ball, with or without a glove, as you throw it to them along the ground, just like you’d throw any other grounder, but the ball will take crazy hops and erratic bounces as the fielder approaches, forcing him to make quick body and hand movements in reaction to each new direction the ball takes. If you can keep from laughing yourself sick while watching your players perform as if they were America’s Funniest Videos, it’s a great training tool. I highly recommend it as it can used in various different ways for all age groups. As you already know, if you’ve been exploring the site, there is No strength in the palms of the hands, only the fingers, therefore the fingers along with the forearm, provides strength for a good grip, whether it be on the bat or to throw a specific pitch. Aids such as squeezing rubber balls or spring devises works very well at developing finger strength, however the fact you’re multi-tasking, strengthening while performing other tasks while utilizing the gloves, allows optimum time management. In reality the gloves can be worn while performing normal non-baseball related activities as well, as long as they don’t present a safety hazard. You would not want to be operating a chain saw while hand control is restricted or hampered in any way. This infielders’ glove is designed to be the next step in developing sure handed fielding following the foam pad training. 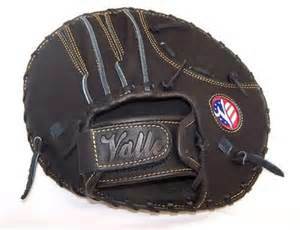 The glove is small, 9 ½” inches versus the normal 11” infielders’ glove. Again the idea is to develop the ability to field sure handed with an undersized glove, when using a standard size glove, the ability to reach, field and grip the ball will be greatly enhanced. This glove used in conjunction with numerous of my soft & quick hand drills will not only produce the desired physical sureness and nimblest hands, but will create an environment which confidence will soar. This is only a mere sampling of training aids available and I can not test or sample them all, as it would be cost and time prohibitive, but I wanted to demonstrate how I might analyze a product in the hope it’ll help you.